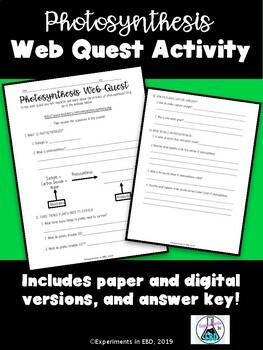 Let your students research photosynthesis in this web-quest activity! Students will visit a website and find answers to key concept questions related to photosynthesis. Genetics Bundle - Featuring my most popular item - Create a Monster Genetics Project!